Malaysia Airline MH370 (Kuala Lumpur – Beijing) Disappears? (Episode 6) : Raja Bomoh, The King of Shamans (A Jester King?). I am so busy today and with discussion on “Grounded Theory” for the ‘Communication Research Methods’ subject tonight with groupmates as next week, we are about to do presentation and energy is drained, I am quite deluded with what is in news. But was shocked to find the absurdity that conquers the atmosphere despite the chaotic madness we, Malaysians are dealing at this very moment. What is all about? It’s “Raja Bomoh” or King of Shamans, y’all! Scouting for MH370?? Is this a joke to assuage the tense? My, my. Anyway, the presence of shamans of “bomoh”s in the KLIA compound comes with dramatic ambiance. First, it was claimed that the presence was due to ‘invitation’ by some VIPs (Malaysian political figures and artistes are said to be very into “bomoh” in order to elevate the status or stardom; so it is said) as some of them involved in high profile Malaysians fiasco such as the Collapse of Highland Tower & The Mona Fendy Case; but then it is now said that the King of Bomoh himself offered the help. Two coconuts. Hmmm….as? Symbolize collision? Wallahualam! Next, it was the “dramatic” display in front of reporters and of course crowd including the foreigners when these shamans performed their rituals! 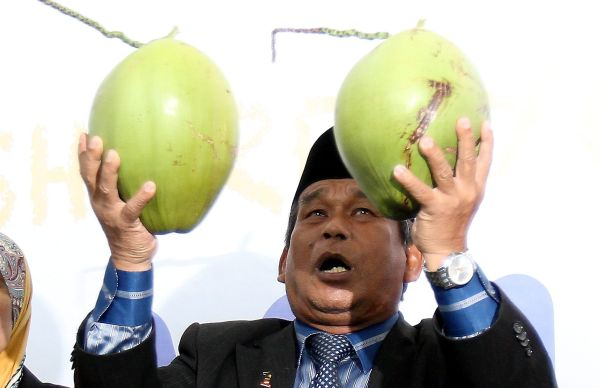 First, it was said that on Monday, the King of Bomoh used binoculars made of bamboo and a fish trap hook as a symbolic to locate MH370; and today, the Bomohs staged a ‘carpet ride’ ala P.Ramlee’s “Zam-Zam Ala Kazam”! Oh, my! A carpet ride. Ala P.Ramlee or Aladdin’s “A Whole New World”? Huhuhu… It’s a mixed feeling. Both funny and a bit of embarrassing moment as Malaysia now is being scrutinized by The World!! And this??? Urgh! Nauzubillah. Please; back to basic! 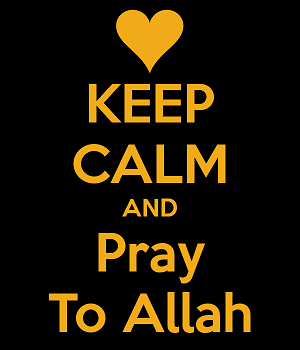 Seek solace from ALLAH SWT! 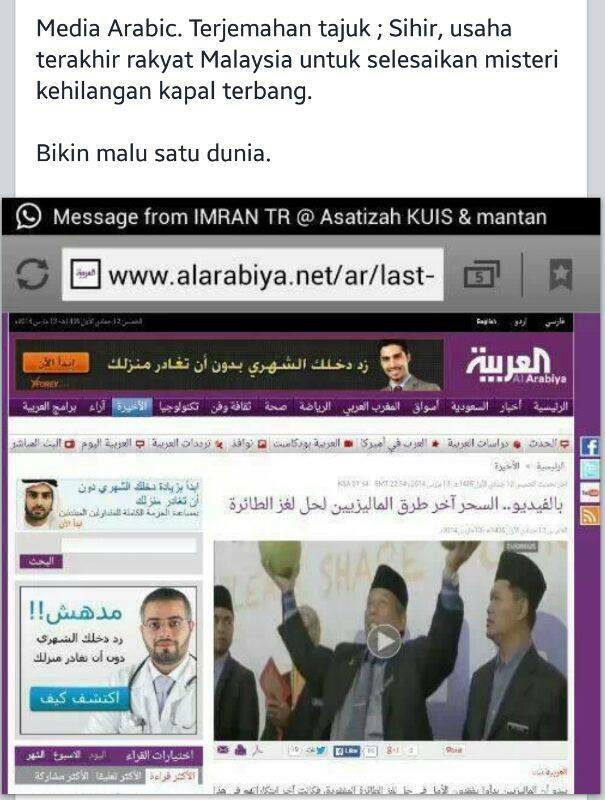 A Facebook circulation depicting coverage from Arabic media claiming that the presence of these shamans are Malaysians’ last resort in tracking MH370 – emblazoned with caption “Dark Magic, Malaysians Last Efforts To Reclaim The Lost Flight”. Urghhhh! Outrageous!!! Damn! For y’all who are reading, these are not representative of Malaysians! We despise this! 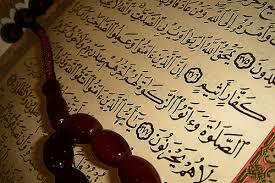 Yes, we know the intention is pure BUT in Islam, intentions are not to defy the acts – meaning, no matter how ‘pure’ the intention is, if the act is committed in a sinful or heinous way, it is PROHIBITED. Apparently, JAKIM (The Malaysian Department of Islamic Development) has issued a statement that shamanism is prohibited in the search of MH370 as it is an essence of Shirk. My personal opinion – Thank you for the intention, but Nauzubillah! Let us pray to God SWT instead. So, thanks but no thanks for the “Bomoh”s! ← Malaysia Airline MH370 (Kuala Lumpur – Beijing) Disappears? (Episode 5) : Two Iranian Fake Passport Bearers @ The INTERPOL. 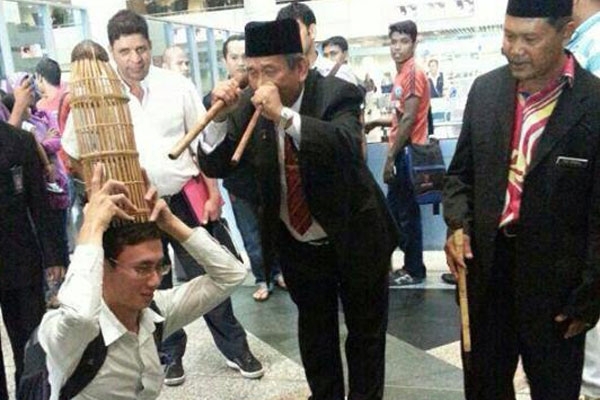 In an immediate move to stop the ridicule, Putrajaya today denied it had sanctioned a bomoh (Malay for shaman) to help find the missing Malaysia Airlines flight MH370. Minister in the Prime Minister’s Department Datuk Seri Shahidan Kassim (pic) denied the opposition leader’s claim it had hired the bomoh. “No, this is not a directive from the government. It is not likely that we would have sanctioned any move which was against Islamic practices,” he said in the lobby. Earlier opposition leader Datuk Seri Anwar Ibrahim had raised a heckle in the chamber when he had demanded to know who in Putrajaya had sanctioned the bomoh to conduct rituals inside KLIA to locate the missing Malaysia Airlines Flight 370. He said the presence of the bomoh (Malay for Shaman) had made Malaysia a laughing stock among the international community. “This is KLIA. Who gave permission? Is it MAS, is it Department of Civil Aviation? Even Barack Obama (US president) must have been amazed with our stupidity,” he said debating the Royal Address today. Anwar said the bomoh appeared to be endorsed by the establishment or had links with the establishment as he was wearing a “1Malaysia” pin. “He even had a 1Malaysia tag on him. Earlier today the Selangor Islamic Religious Department (Jais) said that it will stop anyone from carrying out rituals that contravened the teachings of Islam at the Kuala Lumpur International Airport (KLIA). Its Sepang district enforcement chief Zaifullah Jaafar Shidek said it had stationed seven officers at the airport to stop individuals or bomoh (Malay for shaman) performing rituals, “praying” for the safe return of the missing MH370. “Anyone going against shariah principles and fatwa will be asked to disperse and if they refuse, we will arrest them,” The Star Online reported him as saying today. 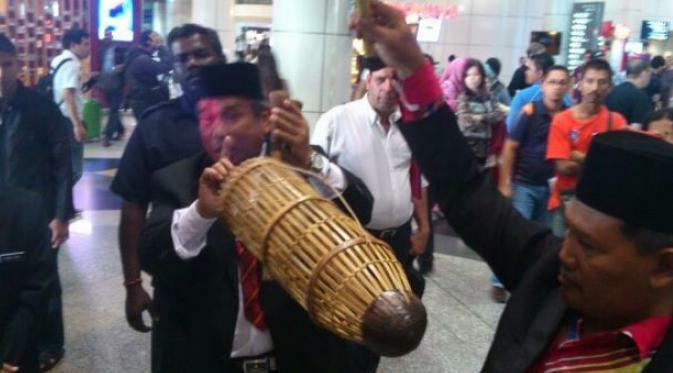 The decision appears to have been prompted by a bomoh who had carried out “rituals” at KLIA on Monday and had predicted about the fate of the missing Malaysia Airlines flight MH370. He returned to the airport yesterday. He said he was carrying out these rituals on his own, despite earlier reports quoting him as saying that he had been invited by high ranking government officials. – March 13, 2014.